Is The iPad Mini A Smart Move For Apple? One of the surprising rumors to come out this week is one involving a possible future iteration of the iPad line — a 7-inch tablet currently dubbed as the iPad Mini. 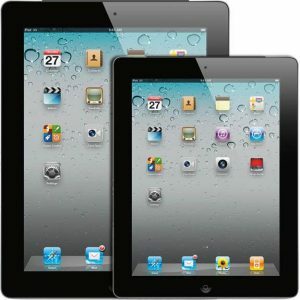 According to the scuttlebutt, the iPad Mini will be announced together with the iPhone 5 sometime in the fall. This has generated quite a bit of excitement among tablet-computing fans and could further intensify the tablet wars between iOS and Android devices. But would it make sense for Apple to release a product that would essentially go against their own 10-inch iPad? White believes that a 7-inch tablet would be a hit in developing countries like China and price conscious consumers who will find the rumored $250 price tag more appealing. It is also possible that “two-iPad families” may end up owning both versions, with the smaller version going to people, most likely children, who can handle a 7-inch tablet better than a 10-inch one. “We would not be surprised if certain consumers end up owning both a regular-sized iPad and an ‘iPad Mini,’ swapping between the two devices for different occasions,” says White. Are you excited by the iPad Mini? Will you prefer this model to the 10-inch iPad? Discuss in the comments below!